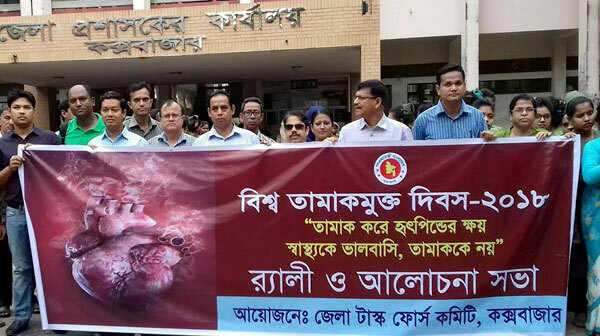 YPSA observed World No Tobacco Day’18 on 31st May in 6 districts of Chattogram Division jointly with District Civil Surgeon Office and District Tobacco Control Taskforce. Colourful rally and discussion meeting were arranged in all districts. In those meetings significant of World No Tobacco day’18 and theme of the day “Tobacco Breaks Heart: Choose Health, not Tobacco”, harms of tobacco use and tobacco control law were discussed. All the speakers urged that it should take initiatives to create mass awareness, enforce the Tobacco Control law and protect our next generation from the harms of tobacco. 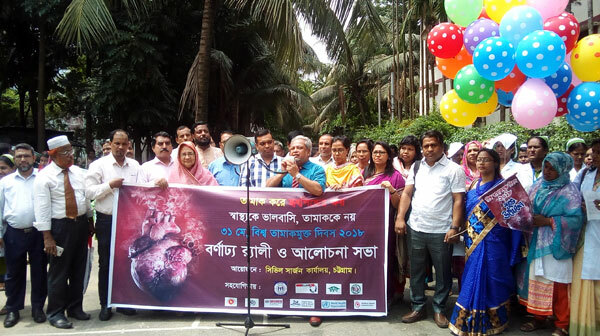 Deputy commissioners, Civil Surgeons, district focal point officers, Government officials, Taskforce members, doctors, students, health workers, volunteers, journalists, Different NGOs representative and smoke Free Coalition members participated in the rally and discussion meeting. YPSA observed the WNTD’18 at YPSA Head office where all staffs including YPSA’s Core Management team were present. Mr. Arifur Rahman, Chief Executive of YPSA discussed the YPSA’s tobacco control initiatives and our responsibility. 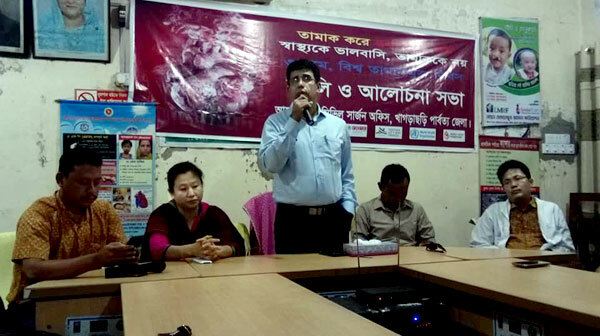 Chattogram Civil Surgeon Office with the support of YPSA and other NGOs arranged a rally and discussion meeting to mark the day. 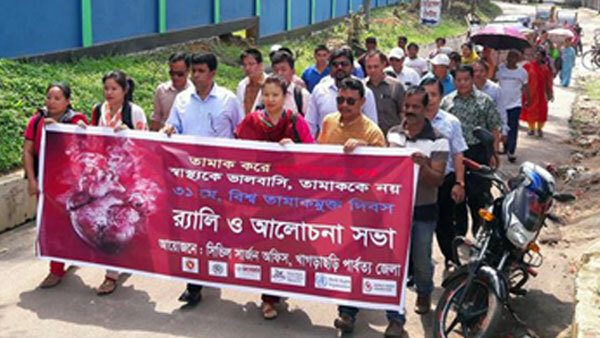 Cox’sbazar District Task-force Committee arranged a rally and discussion meeting to mark the World No Tobacco Day’18. 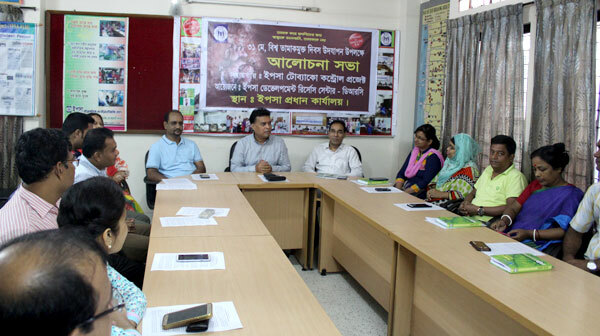 The Khagrachari Health Department and the YPSA jointly organized a rally and discussion meeting. ADC of Khagrachari district ATM Kawsar Ahmed was present as the chief guest in the meeting. 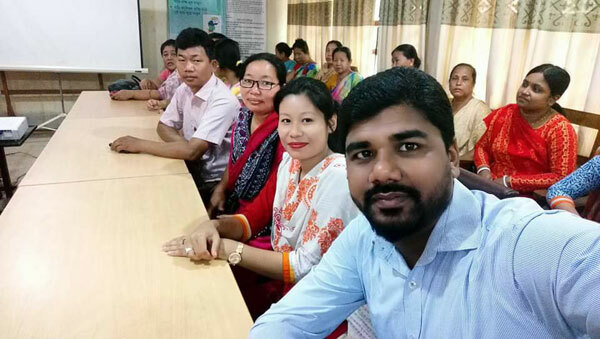 Dr. Noyan Chakma, Health and Family Planning Officer of Sadar Upazila; Acting Civil Surgeon Dr Jaya Chakma and various officials from healt department and different NGO officials attended the meeting. The chief guest at the meeting said that various initiatives were taken to control the drug abuse, and by 2040, we hope that our country will be tobacco free. 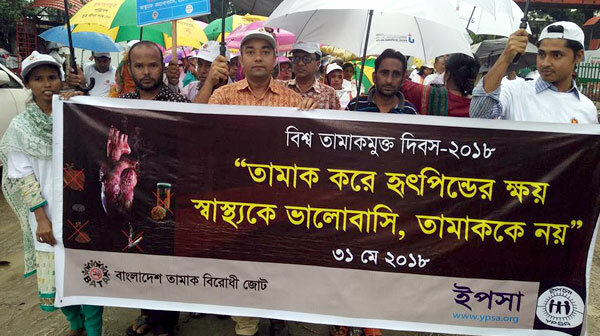 In a part of celebration of world no tobacco day 2018 under the umbrella of Ministry of Health & Family Welfare, different tobacco control organizations & government institutions organized a colorfull rally from national press club to Osmani Milonatoton, YPSA participated this rally very actively along with other organizations.